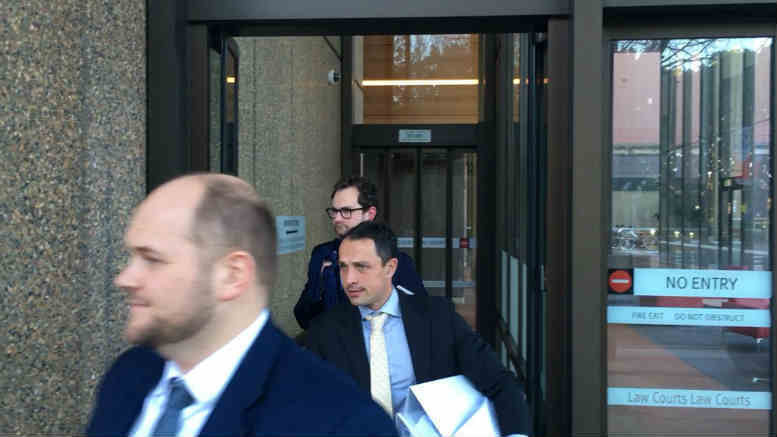 Flanked by his lawyers, Veritas Advisory principal David Ianuzzi leaves court on Monday. FEG recovery Czar Henry Carr. David Ianuzzi is not going to forget his first time as lead receiver anytime soon. 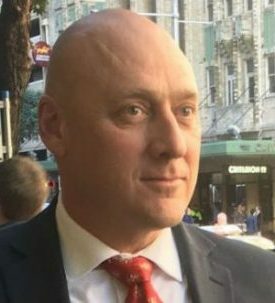 In just a few hours in the witness box on Monday the Veritas Advisory principal was forced to admit his treatment of certain debts in the 2014 receivership of Mentmore Pty Ltd had been flawed, that his initial 524 report needed correcting and that the only reason he hadn’t already filed the necessary amendments was because lawyers had warned him not to. It was all a bit awkward. Ianuzzi was summoned for public examination over his role as receiver of Mentmore Pty Ltd by the Department of Employment’s (DoE) recovery and litigation Commissar, Henry Carr. The examination was curious because Carr generally writes the appointee or lender at least one reasonable letter inviting them to settle before commencing unpleasantries. Usually that letter outlines Carr’s reasoning as to why the receivers or their appointors or their insurers or anybody really, should write him a cheque to cover employee entitlements which the court room bruiser believes have been erroneously left on the taxpayers’ tab when the company in question, having been gutted to satisfy the secureds, is liquidated, triggering employee payments via the Commonwealth’s Fair Entitlements Guarantee Scheme (FEG). SiN understands that most reply with an offer. But not Ianuzzi it seems. Carr explained to SiN previously why he’d be focussing on receivers and lenders. “Where a circulating security interest held by the receiver or controller is over a current asset like a book debt, the receiver or controller will be obliged by Section 433 to pay the employee entitlement’s unless the bank has registered the charge, disclosed that they have control over the collateral, and they actually have that control,” he said. Ianuzzi was appointed receiver of Mentmore Pty Ltd on February 3, 2014 by US vulture fund Breakwater Investment Management LLC and its founder, Saif Mansour. Also appointed was Veritas founder the late Murray Godfrey. The pair had taken over from Jirsch Sutherland’s Andrew Spring and Rod Sutherland, who took on the appointment in mid-December 2013 and resigned on January 30, 2014. Their short tenure may have been related to the fact Spring and Sutherland had simultaneously accepted an appointment as receivers of a related, entity, Ksubi Copyright Pty Ltd. Spring did not respond to requests for comment. On Monday Ianuzzi confirmed that he was the lead appointee on Mentmore, and that it had been his first time as senior receiver. “How were you selected for Breakwater,” the DoE’s counsel, Ross Foreman asked. “Through their legal advisors, Hunt & Hunt,” Ianuzzi said. Foreman then took Ianuzzi through a chronology of his first acts as receiver including meeting Mentmore’s sole director, Mark Frederick Byres. Then letters between Ianuzzi and Mansour were explored, the intention being to understand how Ianuzzi determined which assets were circulating and which were not. Complicating the picture was a deed of assignment to MoneyTech Finance which Ianuzzi felt at the time influenced the status of Mentmore’s assets in regards to Breakwater’s security. As the morning gave way to the afternoon the ignominy mounted. At one point he agreed that $159, 000 he paid to Breakwater as a fixed creditor distribution should’ve been allocated instead to employee entitlements. It also emerged that the bulk of the stock Mentmore owned was ransomed by the “warehouse guys” who didn’t sound like The Good Guys’ storage offshoot. Ianuzzi said he had to pay to get them to release stock. Then there was the issue with Ksubi Copyright’s voluntary administrators. Vincent’s Gavin Moss and Nick Combis, were appointed voluntary administrators of Ksubi Copyright on December 17, 2013. Not surprisingly, some of Mentmore’s stock was in stores controlled by Ksubi Copyright and Moss believed the stock was his to deal with. Ianuzzi ended up paying him $60,000 to settle the dispute. “This is the issue we had, “Ianuzzi said at one point. “Moss claimed the stock as his because of this wonderful thing that came in called the Personal Properties Securities Register (PPSR).” But the toe curling moments weren’t over. While examining negotiations to sell IP and trademarks held by Mentmore the court heard that the receivers had obtained an expert valuation report from forensic accountant Louise Thomson. She’s a director of Veritas. Thomson racked up almost $36,000 for the job the court heard, though Ianuzzi insisted that that figure would never have been billed. “Does that happen often?” Foreman asked. “Only twice,” Ianuzzi said. A little later the court heard that Ianuzzi paid Byres $11,000 in “contractor’s fees” including $4,550 in travel allowances. “Why is Mentmore paying Mr Byres to assist in negotiations for the distribution agreement between Breakwater and General Pants?” Foreman said. Byres could not be contacted for comment. Calls and text messages to Mentmore’s liquidator Bruce Gleeson of Jones Partners were not responded to. Towards the end of the day the questions swerved sharply toward the personal. Did Ianuzzi own investment property? Yes. Was there a mortgage? Yes. How much? And so on. Did he own his own home? No, it belongs to his wife, who he told the court “..was earning more than me” when she bought it. Was there a mortgage? Yes. And so on. It was the examinatory equivalent of Carr sitting opposite a handcuffed prisoner cracking his knuckles. At session’s end Ianuzzi’s examination was stood over until further documents and materials including a spreadsheet referred to in the original notice to produce were delivered. Why they hadn’t been delivered already was not explained. Maybe the warehouse guys can help. Be the first to comment on "Ianuzzi attracts FEG fire over Mentmore"